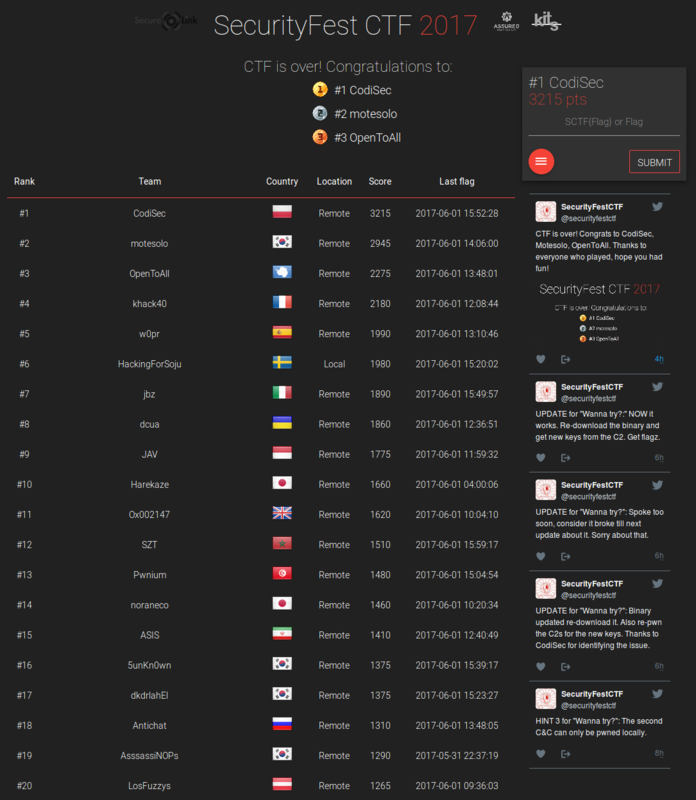 CodiSec CTF team captured the most flags — and the title — at recent CTF held during SecurityFest conference in Göteborg, Sweden. CodiSec beat out 200 global competitors, going down to the wire against a Korean team they overcame only in the last 30 minutes of play. The CTF was organised in standard jeopardy style and comprised 23 tasks. Most of the challenges were ransomware themed. Ultimately, CodiSec was the only team to solve the most difficult task: “Wanna try,” which was inspired by the infamous “WannaCry” ransomware that attacked hundreds of thousands of computers last month. For its success, CodiSec won a 5000 SEK donation prize, which it has sent to the Python Software Foundation. The team chose the foundation as its recipient because it produces what the security specialists and data scientists at CodiLime and deepsense.io consider to be among the most powerful tools available to them.